When you hear the word “butter” who do you think of? Paula Deen? Me too. I have never made a single recipe from Paula Deen (sorry Paula! I still like ya’ll!) 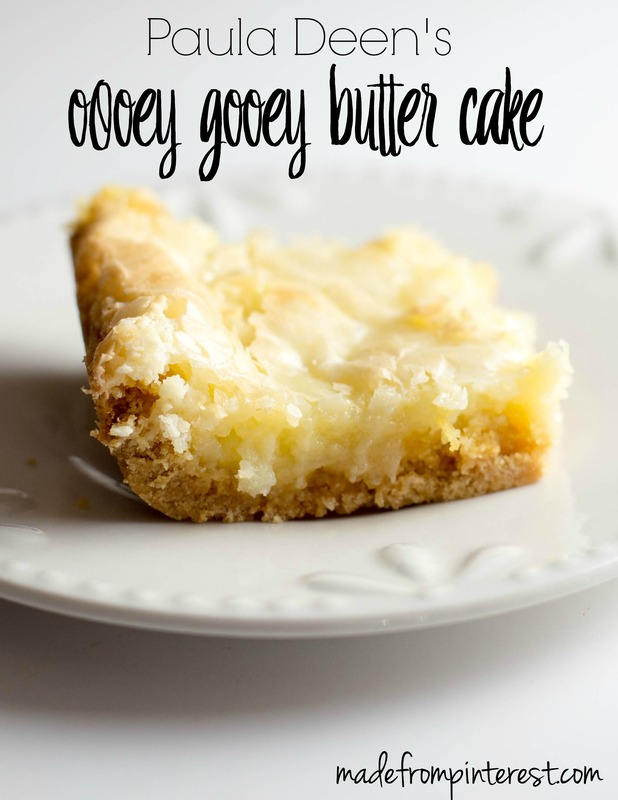 but I have seen this Paula Deen’s Ooey Gooey Butter Cake pinned so many times that I couldn’t resist. I have also seen this pinned as “The Original Neiman Marcus Bars” and “Texas Gold Bars”. 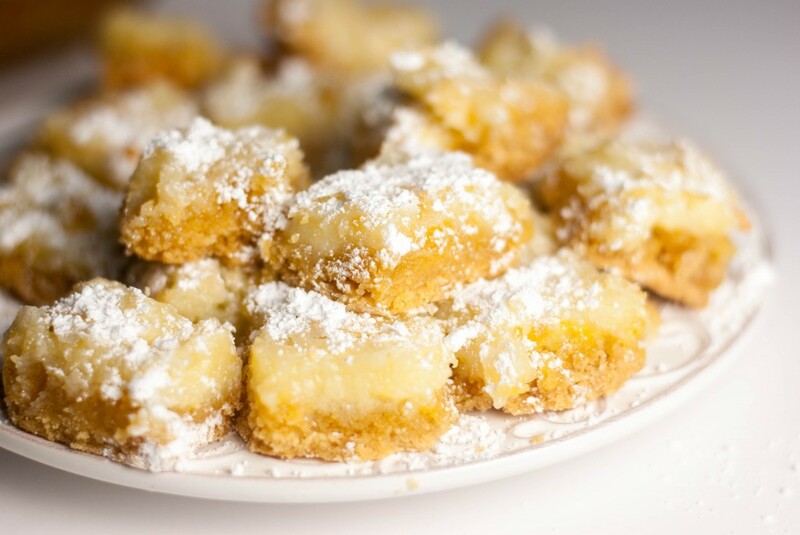 Whatever you call them, they ARE ooey, they ARE gooey and they definitely have a rich, buttery flavor. I can never think of butter without remembering one of my mother’s memories about butter. It was during World War II and my mother lived in a project. She remembers getting rations during the war and one of the things that was in scarce supply was butter. She told us that it used to come as white butter with a little packet of yellow dye. To make your butter yellow, you took the packet and mixed it into the butter. Well, one time her older brother decided to have some fun with their butter. Along with the yellow packet of coloring that came with the butter, he thought it would be funny to add a few drops of blue, thus making a lovely green butter. Their mother (my grandmother) was furious because they wouldn’t be getting any more butter any time soon. They had to use what they had and so they had to spread green butter on everything. Combine the cake mix, egg, and 8 TBL butter and mix well with an electric mixer. Press the mixture into the bottom of a lightly greased 9x13 baking pan. In a large bowl, beat the cream cheese until smooth. Add the eggs, 8 TBL butter and vanilla and beat together. I must issue a warning here if you haven’t already figured it out on your own. This cake is super rich and a little goes a long way. When I made this for my family, I cut the pieces as big as a regular piece of cake and no one was able to finish it. However, every one of them LOVED the cake. The verdict from my family? 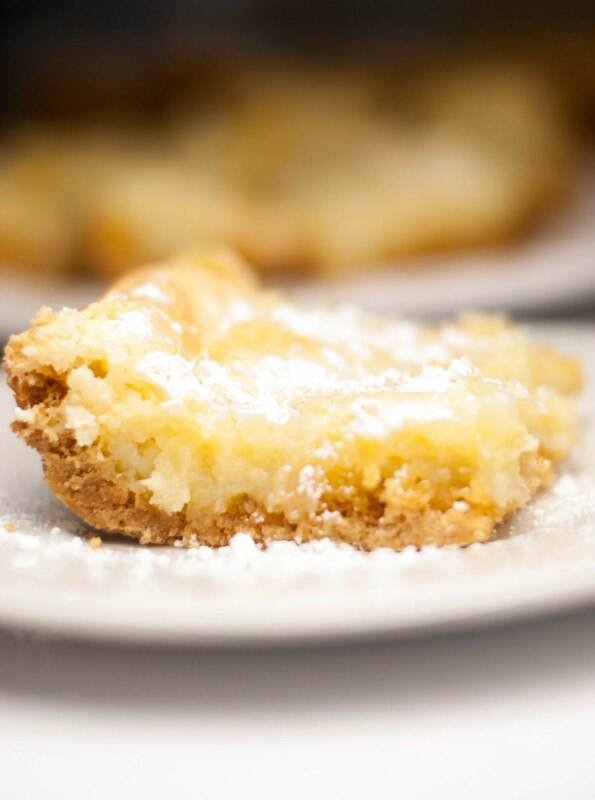 Paula Deen’s Ooey Gooey Butter Cake ROCKS! Do not try to make your butter green at home. Leave this up to the professionals!